Welcome to the China Influencer Update, a weekly roundup of news, reports, and trends in China’s social media and influencer marketing industries. What makes China Influencer Update different? We won’t churn out the same articles being shared in every China marketing group and newsletter, instead drawing on Chinese language articles, first-hand observations, and original interviews to bring you information and viewpoints you’re unlikely to find anywhere else. Mobile internet users in China’s 1st and 2nd tier cities are mature and they are bombarded with content and sales messages on a daily basis. The next big opportunity for app and e-commerce growth is consumers 3rd and 4th tier cities and rural areas. Xiachen literally means to sink or submerge, and is now a popular term meaning sinking or moving down into lower tier markets. Xiachen content, apps, influencers, and products appeal to everyday, ordinary Chinese people. People in these lower tier cities can’t relate to the sophisticated content and expensive products that we so often see influencers sharing on Weibo and WeChat. While for those in 1st and 2nd tier cities this content may be aspirational, for these consumers is it is just too far removed from their lives. This term has been used quite frequently throughout 2018 and many top Chinese marketing publications predict ‘xiachen’ will continue to be a major trend in 2019. Why are Kuaishou influencers so good at driving sales? While many think of Kuaishou as being crude or ‘the internet version of China’s countryside’, Kuaishou doesn’t see this as a bad thing. The platform has been around since 2013, and as the platform has grown, so has the purchasing power of its loyal users. Kuaishou’s interface is very simple and features are limited. Users can share short videos as well as live stream. The platform was very slow to introduce monetization features, however, in October 2018 it finally launched a wide range of marketing, advertising, and ecommerce features and services such as brand accounts, ads, ecommerce links, and the ability for users to set up their own stores which are integrated with Taobao and Youzan. Since then it has been shown that both large and small influencers on Kuaishou are able to drive significant sales. (Scroll down to the Influencer Spotlight section to read about one of Kuaishou’s top influencers SanDaGe). 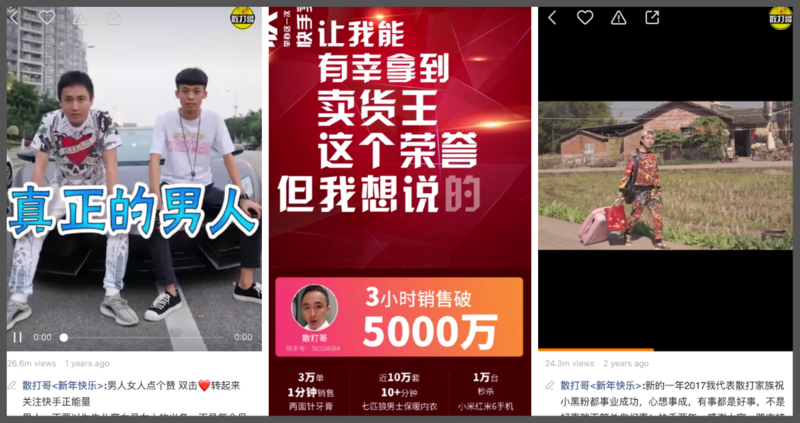 Marketers surmise that the realness and relatability of Kuaishou’s content creates less distance between influencers and regular users, which in turn increases the level of trust in the products the influencer is recommending. Keywords to describe xiachen content: unfiltered, real, relatable and easy to understand. Taobao livestreaming has become a new way for farmers in China’s poor rural areas to reach customers. In the last three years, around 100,000 live streamers have promoted farm products on Taobao, according to the company. 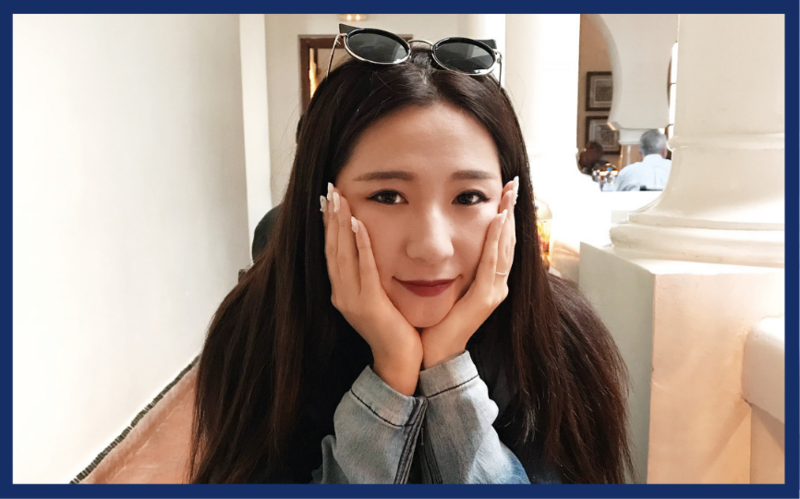 GGV Capital’s Hans Tung and Zara Zhang interview Doris Ke, a marketer and writer who has had an interesting career across the US and China. Doris grew up in China and went to the US for college, where she attended Bard College in New York. She started her career at Unilever where she worked on brand development, and then joined Michael Kors in New York where she was the social communications manager for APAC. In 2015, she left Michael Kors to become the head of marketing operations at Alipay US, based in Silicon Valley. In 2017, she returned to China to become the CMO of the Chinese startup YCloset (衣二三), which is often referred to as “the Chinese version of Rent the Runway”. She recently left YCloset to start her own marketing startup. Doris has a very popular China marketing WeChat Official account and shares daily newsletters in her online communities on the app Zhishi Xingqiu (知识星球). Loved hearing her compare US and China marketing methods in this podcast interview. Weijie Chen (陈伟杰), who goes by the name SanDaGe (散打哥), is one of the most popular influencers on Kuaishou with nearly 44 million followers. Unlike most content creators on short video platforms, Chen’s short videos tend to have an uplifting message, promoting positive behaviors such as “take care of the environment”, “be humble”, and “help the elderly”, but of course doing so in a hilarious way. Many of his videos get anywhere from 15-20 million views on Kuaishou alone. While his content is professionally produced, the topics, sets, scripts, and characters are extremely relatable to the average Chinese person living in a smaller city or the countryside and he is clearly appealing to their sense of humor. The epitome of xiachen. But Chen is more than just a popular content creator. Among the marketing world he is well-known for his influence and ability to sell (卖货能力). During the 2018 11.11 shopping holiday he reportedly drove 160 million RMB in sales in 10 hours. What was he selling? Toothpaste, thermal long underwear, and Xiaomi phones. In Q2 of 2018, top Chinese live streaming app YY revealed its new user acquisition strategy. To attract younger users, they began promoting their top talent on other social media platforms such as Douyin and Weibo, then channeling those performers’ new fans back to YY. Modern Brothers was the pilot project for testing this strategy. From Q2 to Q3 2018, YY saw a significant increase in both monthly active users and the number of paying users. It appears the strategy is working. Want more? Check out past issues. Copyright © 2019 Uncharted Media LLC, All rights reserved.